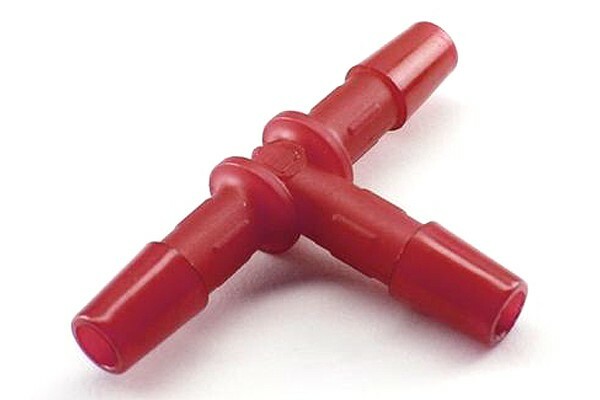 Connection element for highflow systems. Connects hoses made from PVC and others (e.g. Tygon, Masterkleer) quickly and safely. The T-piece is suitable for installation of e.g. a reservoir in a branch of the cooling loop. With an inner diameter of 6mm no additional fixation (e.g. zip tie or hose clamp) is needed. Suitable for hoses with an inner diameter of 6mm.